An Impressive, pristine, South facing Villa. Beautifully maintained & presented front line golf property. luxury en-suite bathroom with corner bath, dual wash-basins and separate shower. Three further double Bedrooms, all with double fitted wardrobes, plus two further bathrooms. Upstairs Balcony to front with access from master suite and guest bedroom. 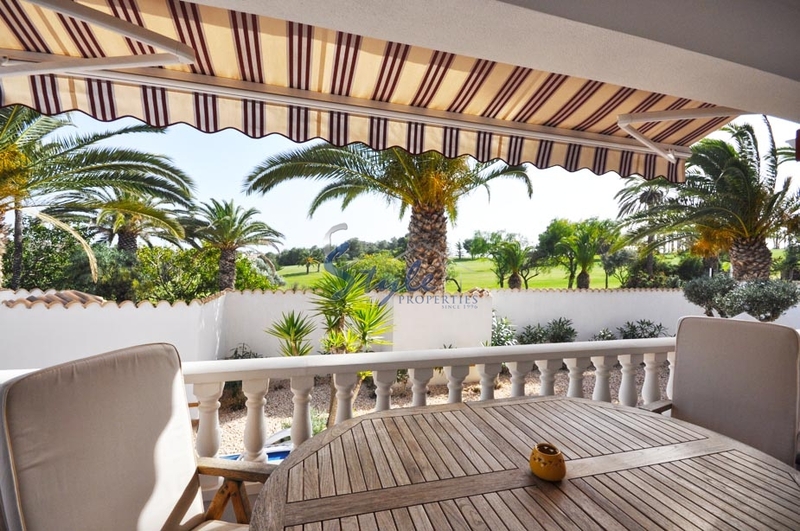 Large sunny open plan lounge with extensive golf course views from all windows. Wood-burner cassette fireplace. Large adjoining dining room. Semi-open plan custom built Kitchen complete with built-in top grade Bosch appliances. American style Fridge /freezer, water-filter, Walk in pantry/storage. Separate utility room with Miele washer and dryer, Roca gas central heating boiler with continuous hot water system. Full gas central heating and individual air conditioning to all rooms, ceiling fans in all principle rooms, cavity wall and roof insulation plus full double glazing providing highly efficient home climate control for total year-round comfort. 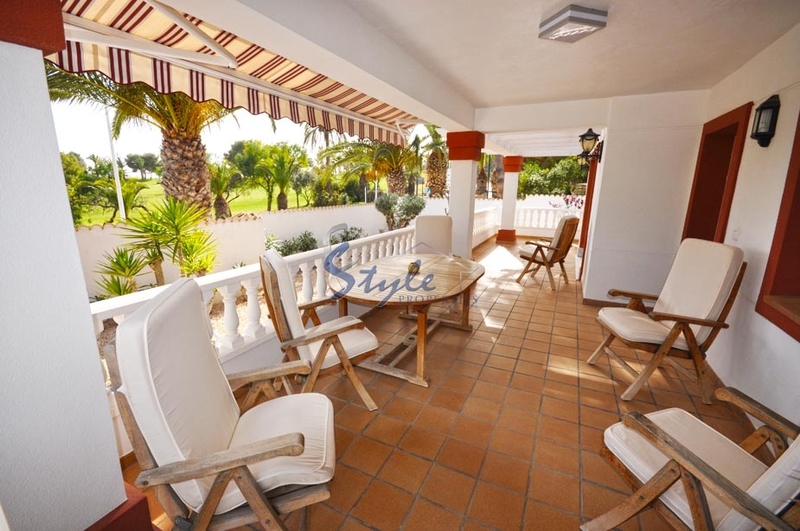 Large terrace / porch and logia with golf course views and overlooking extensive, very private swimming pool and sunbathing area with 8 x4 mtr pool and shower. Attractive well stocked but low maintenance surrounding walled garden. Conveniently only '500 mtrs' to local Supermarkets, Banks, shops, bars and restaurants etc. 15 mins from the fantastic new Zenia Boulevard shopping centre. Just 25 mins from San Javea (Murcia) Airport. 45 mins from Alicante airport. 50 mins. from Corvera the new International Airport near Murcia.